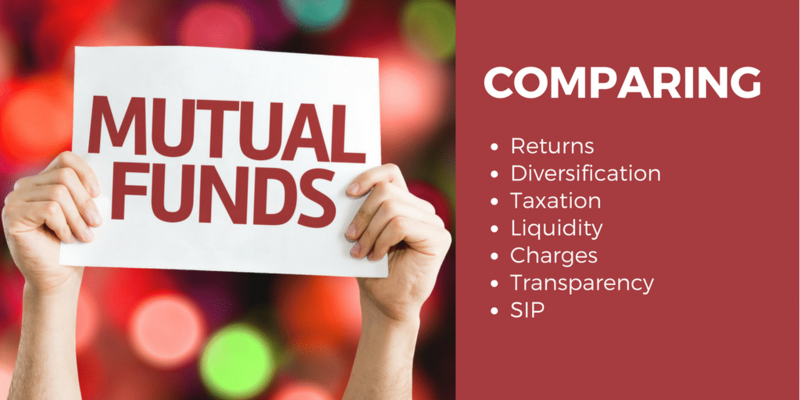 Let me clarify the common myths among equity mutual fund investors that I have come across over time with examples to conquer them and invest with confidence in mutual funds. Most of my readers will agree that they know they can start investing in mutual funds with as low as ₹500 to ₹1,000 per month. The problem is no one starts investing with as low as ₹500 or ₹1000 per month. The plan to start investing begins only when one sees a considerable amount of money lying idle in one’s bank account and something needs to be done about it. We believe we need a lot of money to start investing. I also believed in the same. We can’t visualize the concept of compounding and calculate the returns only based on what we invest. Only with ₹1,000 invested per month for 33 years at an annual growth rate of 15% can mean you have a corpus of 1.1 Crore but in the 30th year of investment, it is only 70Lakhs and in the 28th year it is not even 52Lakhs. The big chunk of absolute money is made in the last 3 to 5 years. Almost 10L per year. It isn’t important to start heavy with a truckload of money but it is REALLY important to start early. Regularly is a very relative term. Some may call regularly as daily or weekly and others may consider regularly as monthly or quarterly. One needs to monitor how his investments are doing but then if you have invested in mutual funds, you have appointed a professional fund manager to the job of choosing a better-performing stocks based on the funds’ benchmark and invest in it at the right price for you and remain invested for the right time in that stock. So once stocks are being monitored for you by an expert, you don’t need to regularly check them but that doesn’t mean you don’t need to be checking the performance of your fund at all. Once a year and review the performance of your fund and compare them with peers is always a better choice. The idea isn’t to switch funds for few percentage point gains of one fund over other but a significance outperformance by one fund over other can be used as a reason to check why some funds are doing well and are there anything that one fund house is doing good than what you have invested in. 3-year comparison of fund performance with peers can be justified but less than a year of performance comparison is never a wise choice. It’s a myth to believe that mutual funds are less risky than direct stocks. The difference between stocks and a mutual fund is that the latter reduces the risk of investment in one stock or in one management and is diversified to more stocks and managed by a professional fund manager making it less volatile than stocks. Stock tumble so does mutual funds. A fall in NAV by 40 – 50 percent can’t be ruled out and often the fall is worse than the underlying benchmark or index. The investor should not be under the misconception that an equity mutual fund is a cushion against the risk of investing in stocks. If the market is in a bearish phase in general, there is very little that a fund manager can do to avoid the downfall. However, a mutual fund, unlike direct stock investments, allows exposure to more than one stock, and the fund manager has the luxury of holding some part as cash which allows managing market volatility more effectively. Investments in mutual funds or stocks should be done with a long-term view. Is equity mutual funds right for me? If I should consider equity mutual funds? Can I handle the market volatility? To such emails, my answer is always yes. If Warren Buffet at the age of 85+ (born in 1930) can invest in stocks, why shouldn’t you? Equity mutual funds are for everyone at any age and everyone should consider it though you may allocate fewer funds to equity depending on your near and long-term financial goals. The best way to handle the market volatility is, be disciplined enough to not check the NAV of the funds you have invested in on a daily basis. Checking nav once a month or once a quarter will make sure you don’t see any volatility. Last but one of the most common myths among mutual fund investor is investing at a NAV of ₹10. New funds come up with NAV of ₹10 but well-established funds with good historical performance and having similar category or type have NAV in 3 figures as well. The returns are based on the amount of money you deploy in the market to when you invest in a fund and not at what price of the NAV you invested in. As an example, Nav of ₹10 becoming ₹12 is same as ₹100 becoming ₹120. There is no difference for a fund for a NAV going from ₹10 to ₹12 and ₹100 to ₹120. In shares, one can still argue (it is still an argument) that small-cap companies can make bigger percentage move than well established and large companies but that isn’t true for mutual funds. NAV is a price assigned to its units and ₹10 per unit is merely a number to start the process. In fact, it is advisable that one should never invest in an NFO unless there is some unique investment perspective offered by the new fund but it is quite rare these days. 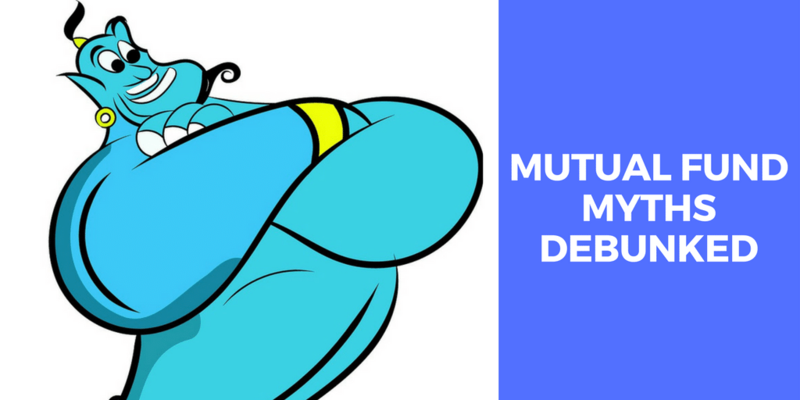 Did I miss any myth that you may have come across when investing in mutual funds or want to share your point of view about any of the above myth? Feel free to express yourself in comments below. 7 Real Benefits of Investing in Mutual Funds Over Real Estate or Gold?